BERNARD Tomic walked away from the Australian Open after being bundled out in the opening round by Marin Cilic. Despite the early exit, Tomic dominated headlines throughout the opening Grand Slam of the year thanks to an explosive post-match press conference. The 26-year-old dropped a series of accusations aimed at Davis Cup captain Lleyton Hewitt that took the tennis world by storm. As the tournament continued to play out, the barbs continued to be traded between Tomic, Hewitt and even Nick Kyrgios. Now the enigmatic star and his father John have sat down and opened up on one of the most turbulent times Australian tennis has endured. "We all know my image of the last decade, look I can't take it back. 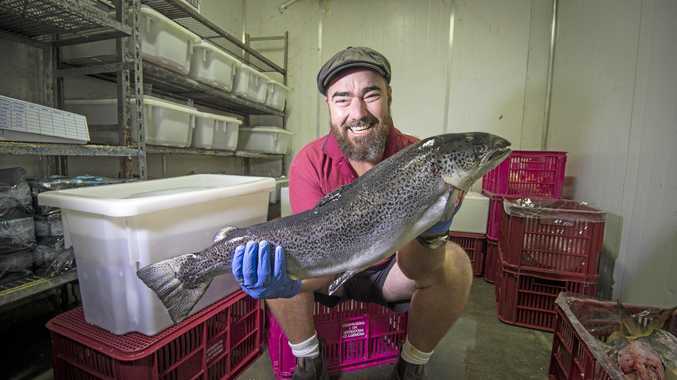 I am who I am, I've done what I've done," Bernard said on Channel 9's 60 minutes. "I've had problems off court, I've been arrested and stuff, but that's that. But this is totally different." The bitter feud all traces back to 2010 when, as his father put it, Hewitt tried to pressure him into revealing who at Tennis Australia was "against" him. "He sat me down and said 'you're not playing Davis Cup mate tomorrow. Unless you tell me these things,'" Bernard said. Bernard & John Tomic during the 60 Minutes interview — Photo Supplied. Tennis Australia CEO Craig Tiley issued a statement saying the organisation was not aware of any incident or complaint of improper behaviour from 2010. But that's a statement John has refuted, stating he complained about the alleged bullying of his son at the time, but was ignored. "I'm asking you, Allison (Langdon), what's happening if I bullied somebody 16 years old and threatened to him you locked in your room," John said. "What's happened? I will be in the jail now. We have beautiful country, strong law. Who is Lleyton Hewitt? Who is?" "I mean you put a 15 year old, 16 year old kid in a room and go, 'tell me this or you're not playing.' You know?" Bernard added. "'You will never come close to me, you will never succeed in Australian sport.' This is a big threat, big threat," John said. But the big question surrounding the entire scandal remains the timing and why it has taken the best part of eight years for it to be brought to light. "I guess here's my issue with it is that I'm having to sit here and just take your word for it," Langdon questions. "You won't tell me what the proof is, what evidence you have, but I have to believe." "I was intimidated, I was harassed. That's all I'll say. I was 16 years old at a Davis Cup tie in Melbourne, Grand Hyatt. I'll stand by that. Further matters will be taking place," Tomic responds. The ugly feud doesn’t look like stopping any time soon — Photo Supplied. The verbal grenades were lobbed between Tomic and Hewitt throughout the Australian Open with both dropping serious allegations against the other. When Hewitt finally responded to Tomic's explosive press conference, he alleged Tomic had threatened him physically and also threatened his family and has attempted to blackmail him since their relationship breakdown. Tomic doesn't back away from the allegations and stated he did message Hewitt with threats, but says he'd never stoop to threatening his family. "I did message him, threatening, I said exact words I said was, 'if you come one metre from me I will knock you out,'" he said. "And he knows that, 'if you ever try talk to me, come one metre from me.' I stand by that. But did I mention his family? That's pretty low. "How low do you have to be to mention family, kids, and stuff? I think that's one of the lowest things that I've ever heard from him. "I stand by my threats towards him, but not to his family, which has nothing to do with nothing. "That's so wrong. For him to say that, that's really low. To go that low and make me look that bad, that's really low. "Now the fact that he's said that; if he comes two metres from me." Bernie isn’t a happy camper — Photo Supplied. 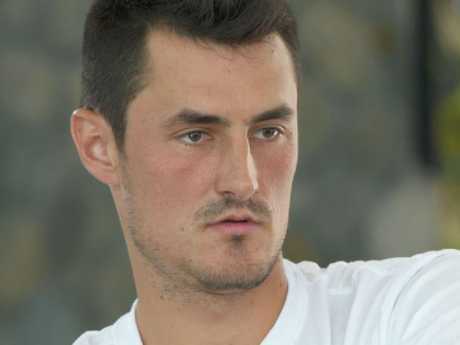 Tomic's image took a hammering following his allegations against Hewitt with social media going into overdrive and stating he'd made the claims only after losing another match. But the moment wasn't an off-the-cuff decision from Tomic, instead it was orchestrated to play out at that exact moment when the tennis world would be watching. "Look some of the people commented on myself saying I lost and that was my defence which is completely inaccurate," he said. "I just felt that, that moment and that time was the right time to come out with all that stuff." The Tomic's bitter and ugly feud with Hewitt threatens to bring Australian tennis to its knees with the end nowhere to be seen. "He's got too much power and it's not fair. It's not fair for Davis Cup. It's not fair for players that are not getting the chance to play Davis Cup because he's controlling the system down there," Bernard added. And while Tomic faces a long uphill battle to potentially earn a spot back in the Davis Cup squad, Hewitt's claim he'd never play again isn't exactly correct. "At the end of the day, Lleyton is an employee of Tennis Australia. He reports to me. I report to Craig Tiley. So, there is a chain of command. So, he doesn't have that sole discretion," Tennis Australia's Performance director Wally Masur said. In time the truth will be revealed, but for now the allegations will continue to fly and Tomic will continue to speak his mind. "I'm only speaking the honest truth of what I know and what I think, and what a lot of people know, as well, but are too afraid to come out," he said.